Need the assistance of movers and packers with your one way van rental? We have professional staff ready to assist you! Only require the vans for quick one way transport? Let us know the pickup point and we will be there in a jiffy! A one way van rental is the perfect service to utilize when you are looking to travel a short distances, either for a short trip for business purposes or to relocate your office and home furniture. Our rental services allow you to pay for the van for a much shorter amount of time, and do not require you to bring the van back to the same location that you rented it from. This saves you both money (since you are paying for only one way) and time since you do not have to stop at gas stations to top up the fuel or worry about taking the van back. Our one way van rentals are often used by our clients to make quick deliveries of their equipment or for the ferrying of workers. If they do not have any spare vehicles to make these sort of trips, last minute bookings for our vans are able to provide the additional assistance. For certain industries, they may be periods where there is a hike in demand and you may need additional transportation solutions. As such, hiring a long term van would not be that wise. Our one way van rentals are able to support these business operations and are definitely more cost effective as compared to long term rentals where sometimes the vehicles are not fully utilized. Based on the van dimensions, the vans can only fit equipment up to a height of 1.25m. If you have items that are taller and larger, you would require a larger vehicle. Within our one way rental schemes, we also have lorries and trucks that are able to support our clients varying needs. The vehicles all have different features to transport different forms of cargo so it is important to let us know what you will be transporting. Just contact us and let us know what sort of vehicles you require and our customer service staff would be glad to assist you. At Rentalorry, we provide one of the most competitive prices in Singapore for vehicle rentals. Our unique GPS tracking systems allows us to keep track of our vehicles and more efficiently deploy them. This allows us to reduce the downtime of the vehicle and hence provide some cost savings for our clients. 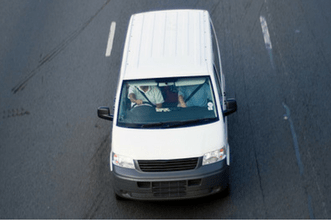 In addition, if you are not too familiar with driving a van, we have trustworthy and reliable drivers available to assist you. Our drivers are highly experienced and qualified in handling the vehicles and definitely know their way around Singapore. They will definitely by able to deliver your goods quickly and efficiently, or bring you to your destination safely. If you are using it for relocation purposes and you are unsure of the necessary tonnage or length of vehicle that you require, you can contact our customer service staff. They are experienced in this area and will definitely be able to advice you on this area so that you can get a vehicle that fits just right. Do not hesitate any longer! Rentalorry is the perfect company to cater to your transportation needs.